: The alpine meadow of Kuari Pass has been attracting backpackers from around the globe for decades. 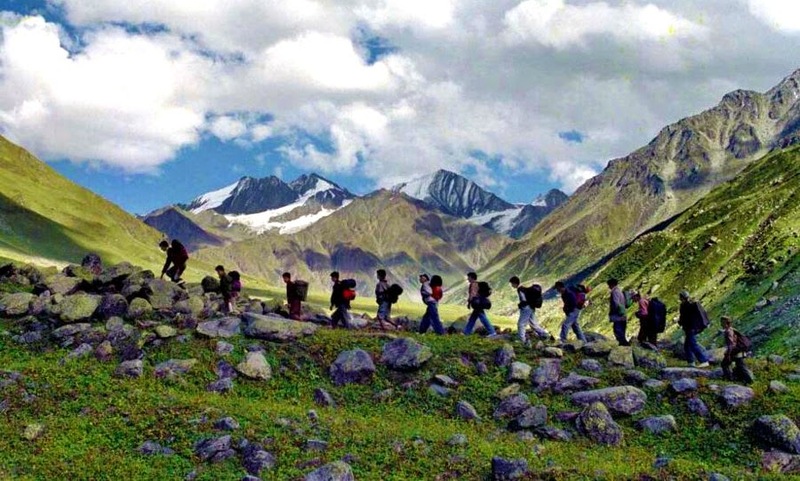 Being in close proximity to Nanda Devi biosphere, Kuari Pass is at the center of the most remarkable regions of Garhwal known for its unique wild grandeur. In the background below the valley is the entrance to the formidable Rishi Gorge which until 1934 was considered un-penetrable. Kuari Pass is at a relative moderate altitude of 12,200 feet. The beautiful camping grounds of Gulling, Chitrakantha & Tali are the key attraction of the trek. The trails leading from Tali Top to Kuari Pass gives an impression of doing a full scaled Himalayan alpine expedition in truck loads of snow.